You’ve come up with a great concept for a new product or company. Now it’s time to think of a name and tagline. This often starts out as a fun exercise with friends, family, and colleagues, until a deadline approaches and you’ve got to make a decision. As with any branding exercise, (and naming is a part of your brand), you need to think about product and company positioning. Where do you want to sit in the market as compared to other products and companies? Is it similar to a competitor’s name? Have you chosen a feminine sounding name for a masculine or industrial industry? Igor International has come up with a great way to categorize names. These include functional/descriptive names, invented names, experiential names, and evocative names. I think it’s important that the name is unique and has a “pop” to it. It’s also important to check your name against other “brand elements.” Can you find photos or artwork that create a meaningful logo or website banner that matches the name? 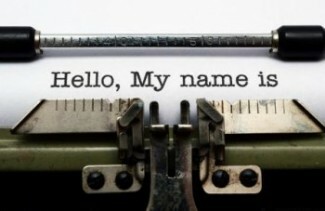 Can you come up with a tagline that matches the name and resonates with the industry you are in? Once you come up with a list of possible names, post the list around your office and around your house. Have people vote on them and then take the least popular ones off the list. Eventually you’ll have something that “sticks” and sounds good. Above all, don’t put your company or new product on hold because you can’t come up with a name. © -2017 Wild Horse Strategies. All Rights Reserved.